It has come to our attention that reverse-engineered knock-offs of GB Racing engine protection products have surfaced in the United States. The knock-off covers are in some cases based on earlier GB Racing engine cover versions and designs. The materials have been analyzed and confirm an unsuitable approximation of the GB-patented formulas. GB Racing is committed to providing the best possible crash damage protection products and are the only FIM-approved covers. 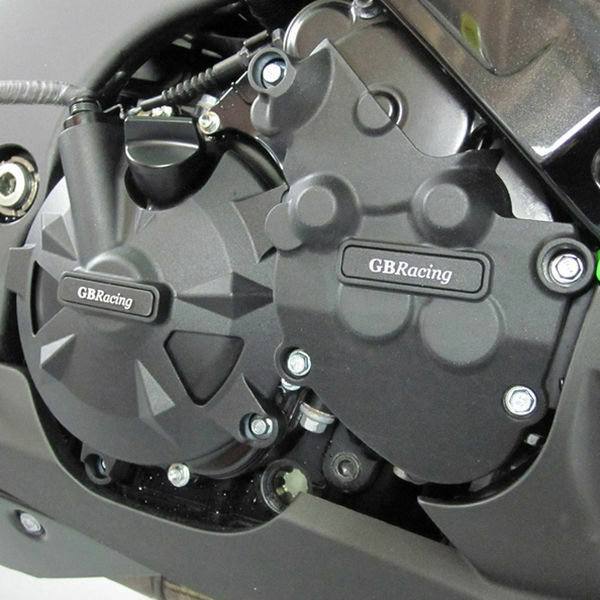 GB Racing products are ever-evolving to meet the high standards and requirements of MotoGP, WSBK, and all FIM-sanctioned series. Orient Express is sending this press release to draw your attention to the possibility that knock-offs may find their way into the marketplace via channels such as eBay, internet sales, or secondary, questionable retailers and distributors. The knock-off covers can be identified by the lighter, cheaper feel of the product in comparison to the genuine items. They are also identified by use of an oval logo embossment. Those items will surely not withstand the rigors of racing and/or street use. Please beware of such items. For more information regarding genuine GB Racing secondary engine covers and crash protection products, please contact Orient Express, the exclusive North American importer and distributor. Orient Express has been the source for high performance motorcycle components since 1973. Please visit www.orientexpress.com or www.facebook.com/orientexpressracing, call 800.645.6521, or email sales@orientexpress.com to discuss your performance requirements.